Yay, fall is finally here! My favorite time of the year for baking delicious desserts. 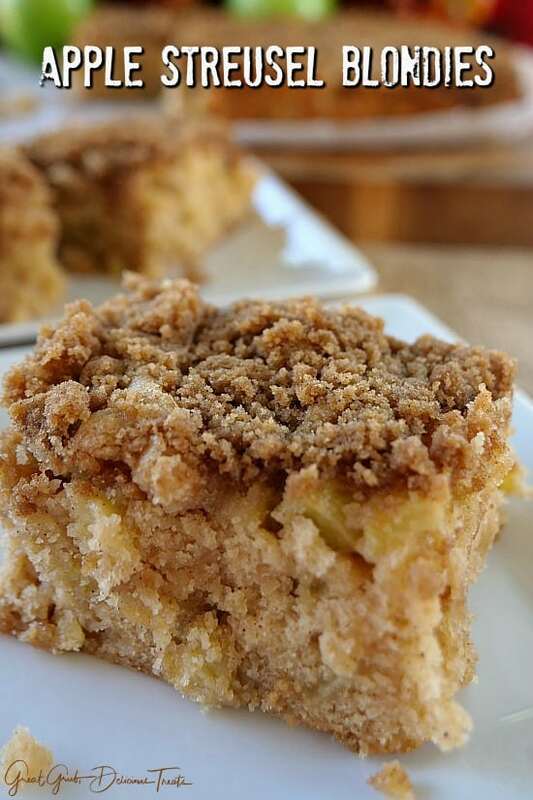 Here are some apple streusel blondies that definitely bring in the fall season with a bang. 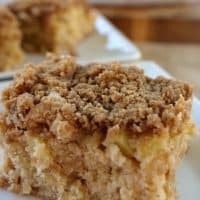 These blondies are loaded with apples, walnuts, and a delicious streusel topping, making a scrumptious fall dessert everyone will love. 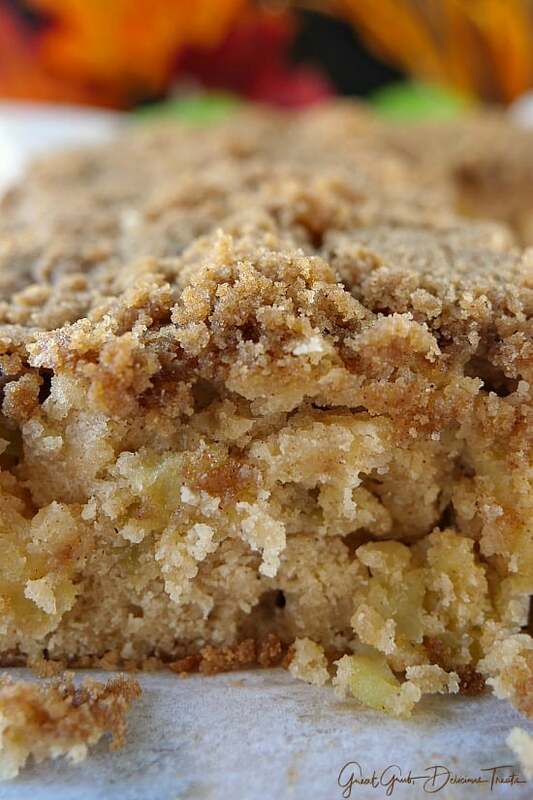 Chewy, with a crunchy topping, makes these apple streusel blondies irresistable. 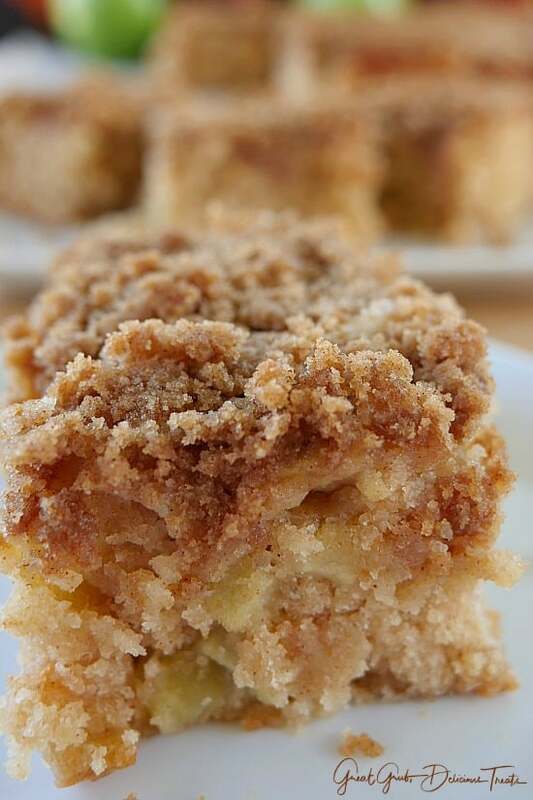 Look at all the apple chunks throughout these blondies. Imagine taking these from the oven, letting them cool just a bit, adding a nice big scoop of vanilla ice cream on top and enjoying this fabulous dessert. Oh man, so good. While I was taking photos for this post, I could not stop eating these. These are pretty serious, meaning YUM! Pecans would be a great addition to add as well. Apples and pecans go so well together! Oooh, and a caramel drizzle on top of the streusel would be great too! A perfect dessert for fall. And a perfect dessert for Thanksgiving and Christmas too! Actually anytime would be a great time to sink your teeth into these babies. 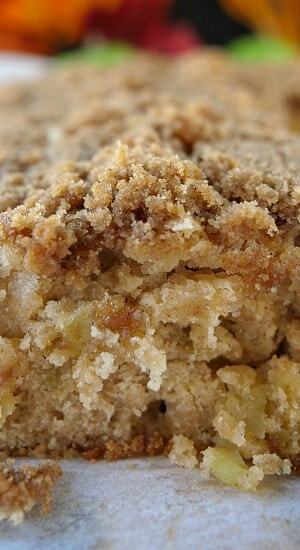 I ran across an apple blondie recipe from Annie’s Noms that sounded delicious. 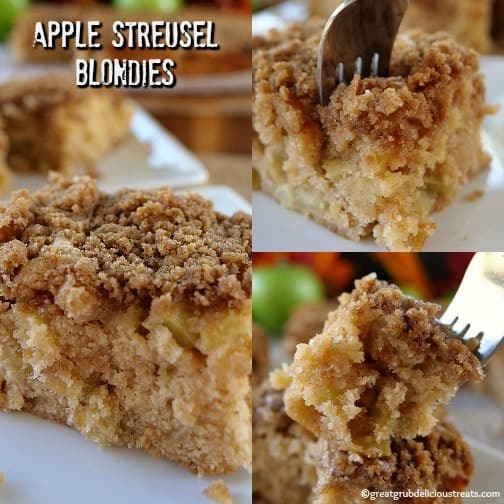 I had lots of apples that needed to be used so these apple streusel blondies are the result. 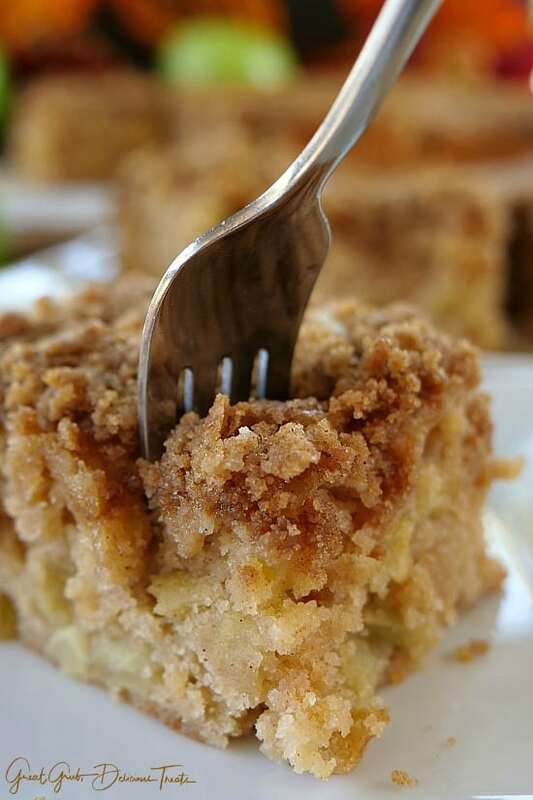 What I did differently was I doubled her recipe, added some walnuts and made a streusel topping to change it up a bit. Seriously, so good and the topping just adds more delicious flavor. Make sure to check out all of Annie Noms delicious recipes. Preheat oven to 350° and grease a 13 x 9 inch glass baking dish, line with parchment paper, lightly spray with non stick spray, set aside. Peel, core and chop apples into small pieces, then place into a medium mixing bowl. Add lemon juice and stir. Set aside. 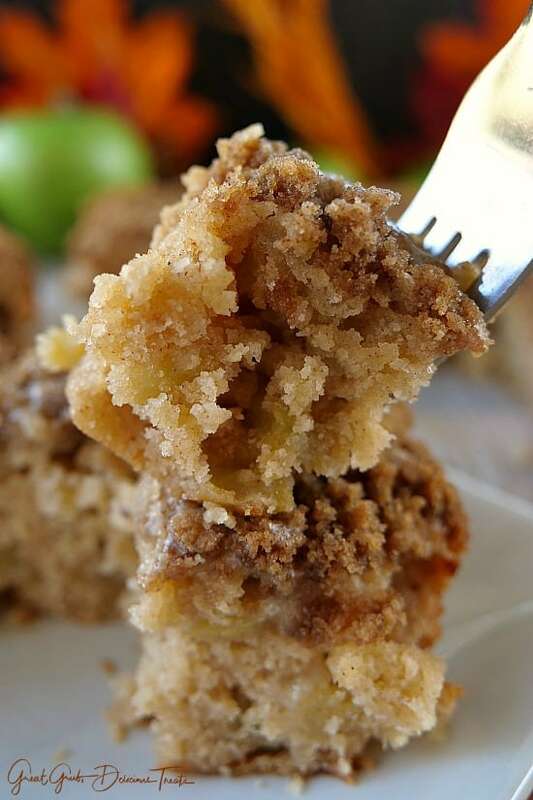 In a large mixing bowl, beat sugar, brown sugar, eggs and vanilla together until creamy. Pour melted butter into mixture and beat until smooth. In another bowl, whisk flour, baking powder, cinnamon, nutmeg, salt together. 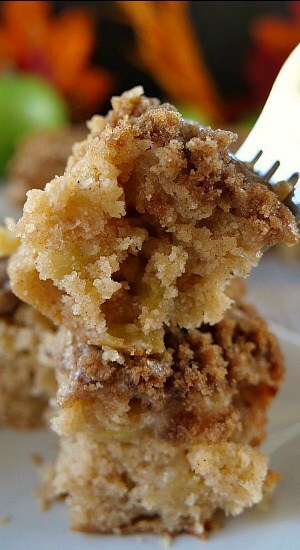 Take 1/4 cup of flour mixture and sprinkle on top of apples, stir to coat. With a spatula, stir flour mixture into sugar mixture and stir until combined, then fold in apples and walnuts.Stir until well coated. Spoon mixture into prepared baking dish and smooth evenly. In a small mixing bowl, whisk brown sugar, flour, cinnamon together. Add cold butter and using a pastry blender, or a fork, mix until crumbly. Sprinkle evenly on top of blondies and place in the oven. Bake for 45-50 minutes or until tooth pick inserted in the center comes out clean. Remove from oven and let cool in baking dish for 30 minutes. After 30 minutes, remove, slice, top with vanilla ice cream (optional).